Hands up who wrote the worst blog post title ever? That would be me. Because spirits. As in ghosts. 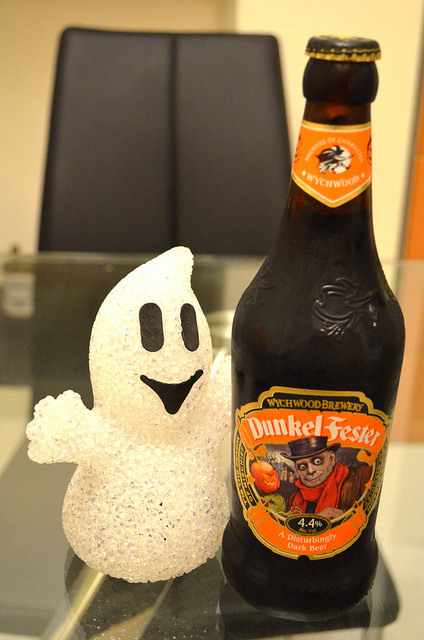 And it's Halloween. But yes, moving on... 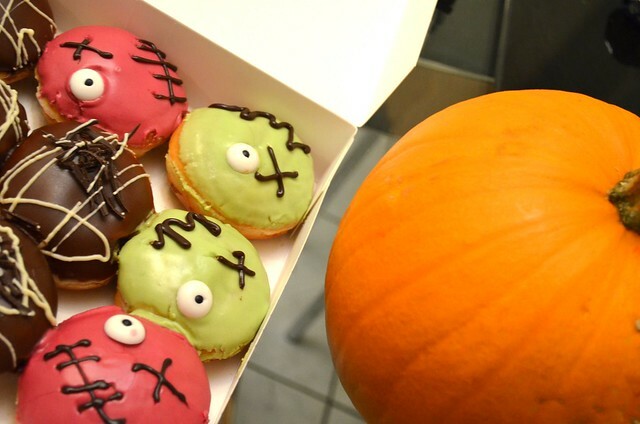 Lately I have been purchasing few little bits and pieces for the house, getting into the Halloween spirit of things. So I thought I'd share what I have been loving lately. Isn't this little guy the cutest?! He glows all colours on rotation and is the perfect mood lighting for the evenings spent watching films under ALL the blankets on the sofa. The beer was an impulse buy from my local Aldi. 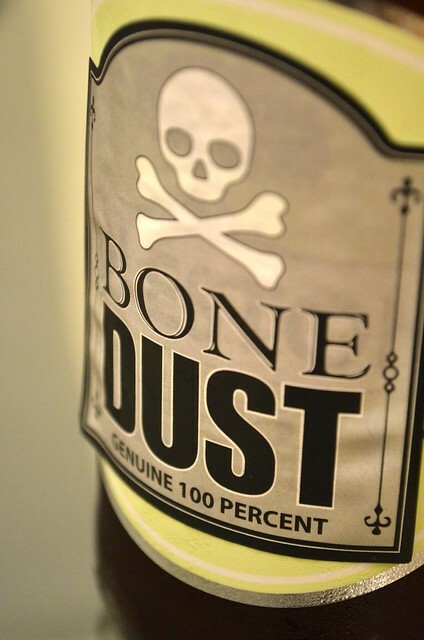 This was seriously a dark beer which tasted unlike any other beer I have ever had before. I'm not usually a fan of beer, but this was one beer that I could get behind. Sold out online last time I checked, it may be worth checking out your local store if this looks to be your cup of tea. 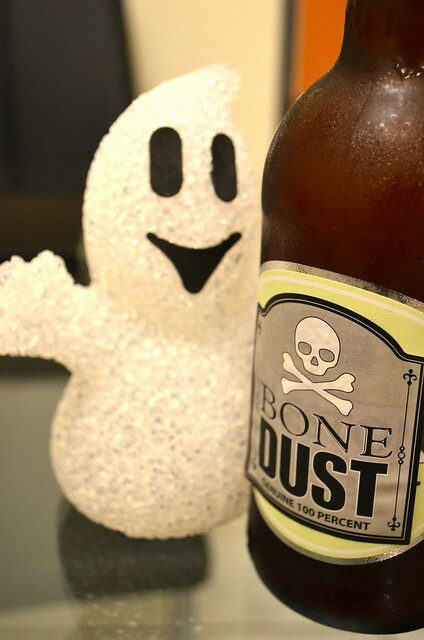 Alternatively if your local stores don't have any speciality Halloween craft beers / ales, you could always do a bit of DIY with Halloween printables found online. 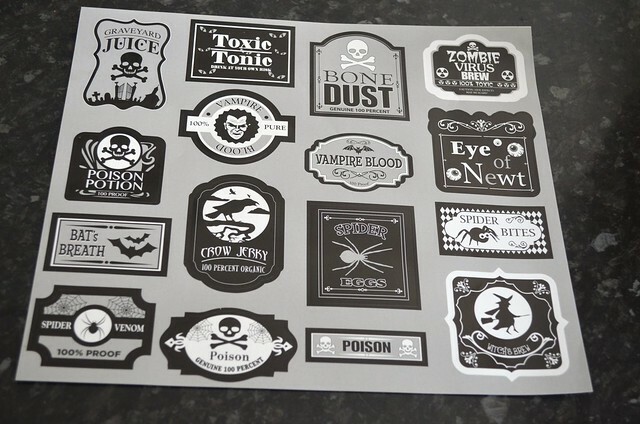 I found some stickers in my local Poundland which were great for giving regular bottles of cider a Halloween inspired twist. It's so easy to carve the same Halloween pumpkin design every year, but this year I wanted a change. This cat design reminded me of my family's black cat back home who always looks a bit angry! 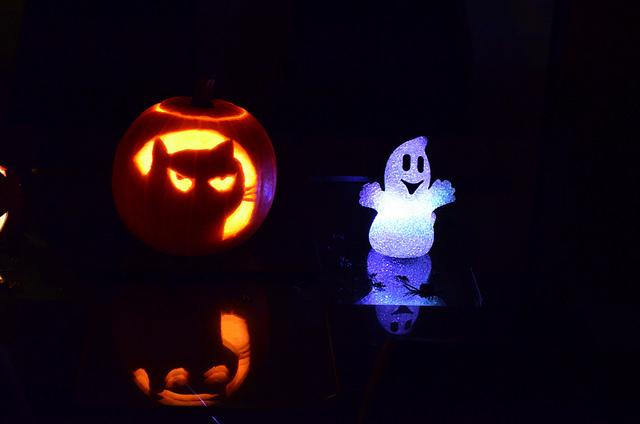 The left hand ceramic pumpkin was another impulse buy the other day. Because priced at just £1, who can argue with that? 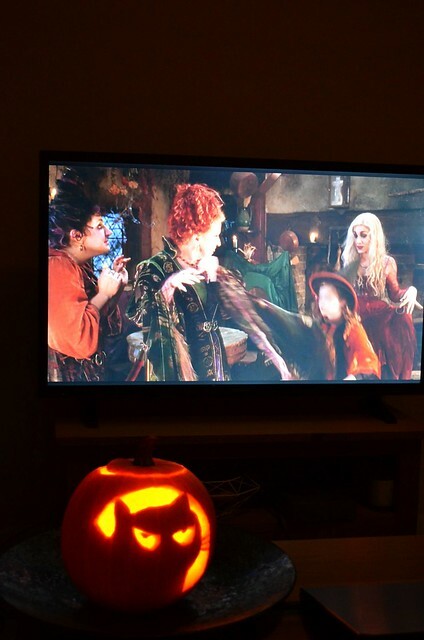 Whereas my black cat pumpkin design (above centre) was surprisingly apt for watching Hocus Pocus and cooing over Binx. Gotta love that cat! And what better way to top a film night than with Halloween themed pizza? 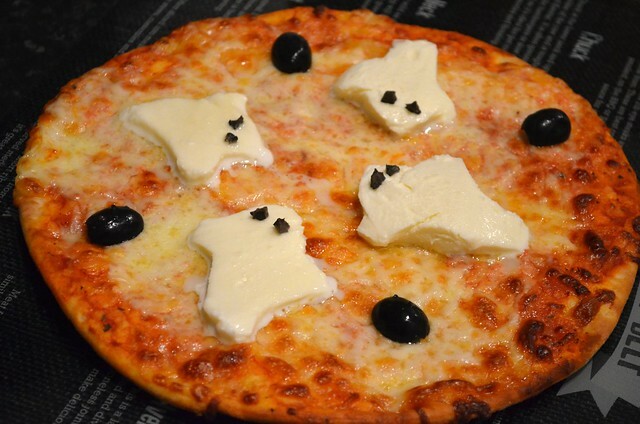 Because you can't get much more Halloween than with ghost mozzarella. 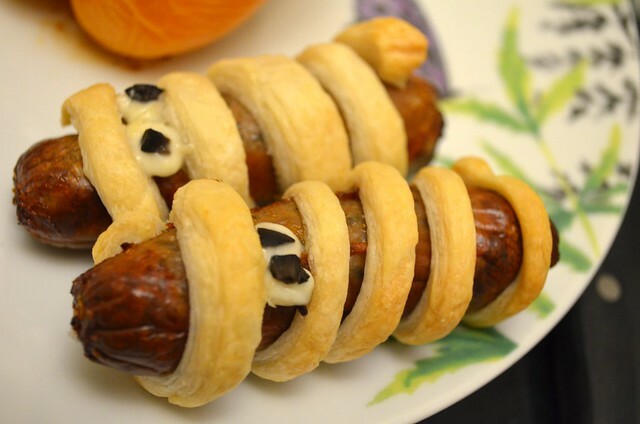 Or homemade mummy sausage rolls for that matter. This one was denser with more of a crumbly texture. 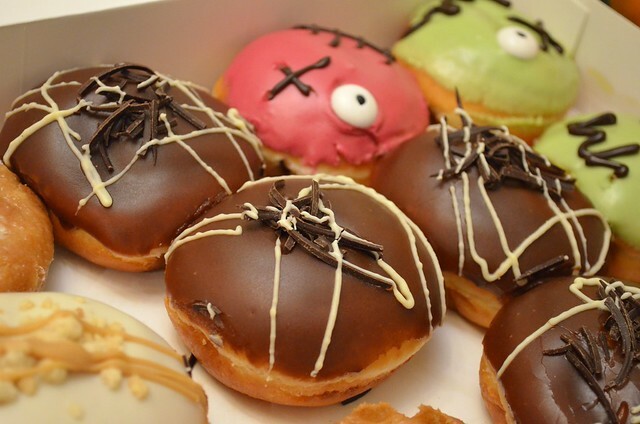 Think apple crumble as a doughnut. But obviously replace the apple with pumpkin. 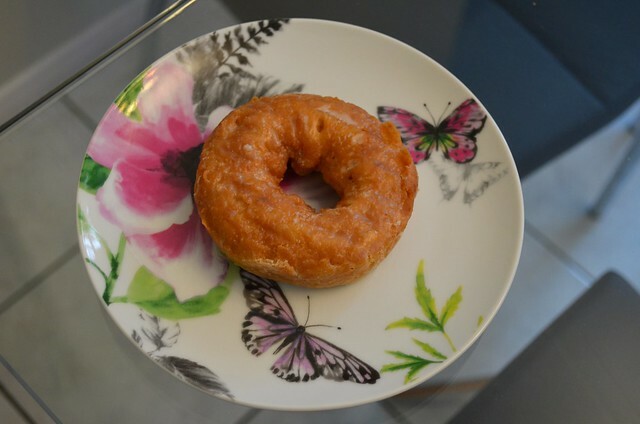 This doughnut had some lovely warming spices - perfect for this time of year. 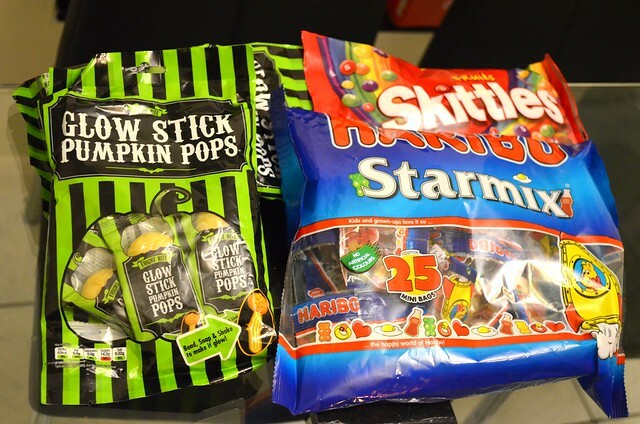 If there are any sweets left (particularly the Haribo), I won't complain! 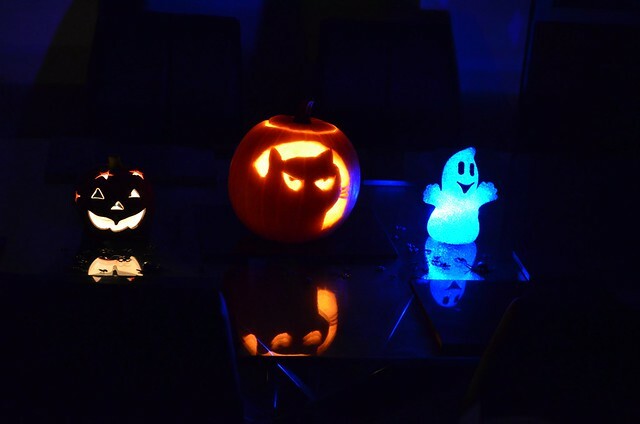 What have you been up to over Halloween? 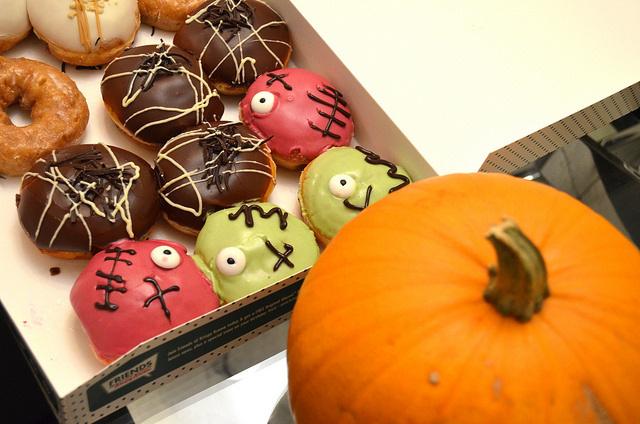 *a huge thank you to Krispy Kreme for providing me with doughnuts for my Halloween inspired weekend!